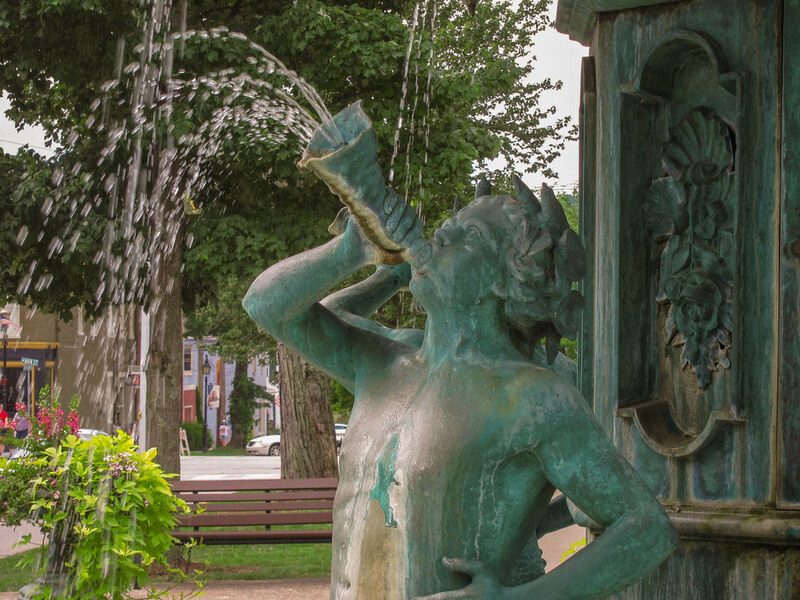 This fountain might look old, but it dates only to 1981. That’s not an entirely fair or accurate representation of this fountain and its story, however. Its story goes back more than a century before that. 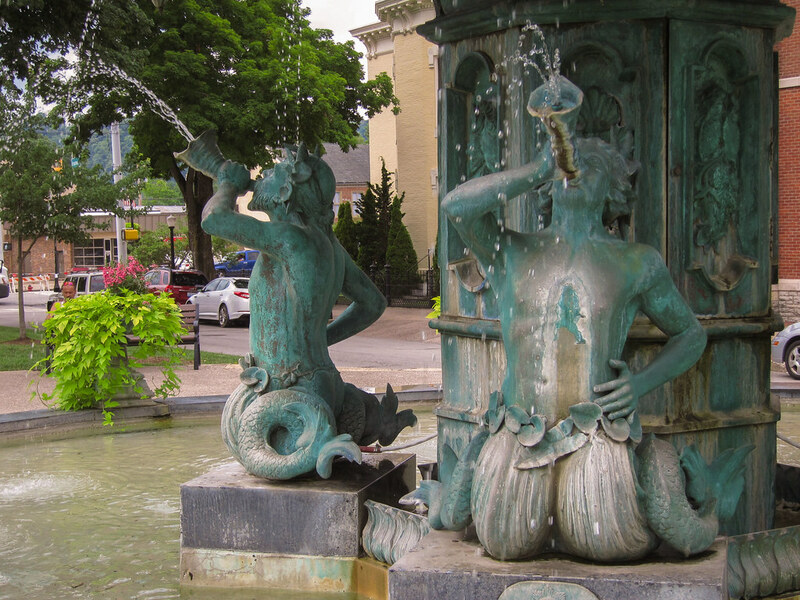 A cast-iron fountain that looked just like this was on display at the Centennial Exposition in Philadelphia in 1876. Considerable wrangling and dogged persistence (story here) saw it moved to Madison, Indiana, in 1884. But by World War II, the fountain had deteriorated badly and had to be turned off. It sat in that condition until 1950, when a local real-estate agent raised the funds for its restoration. 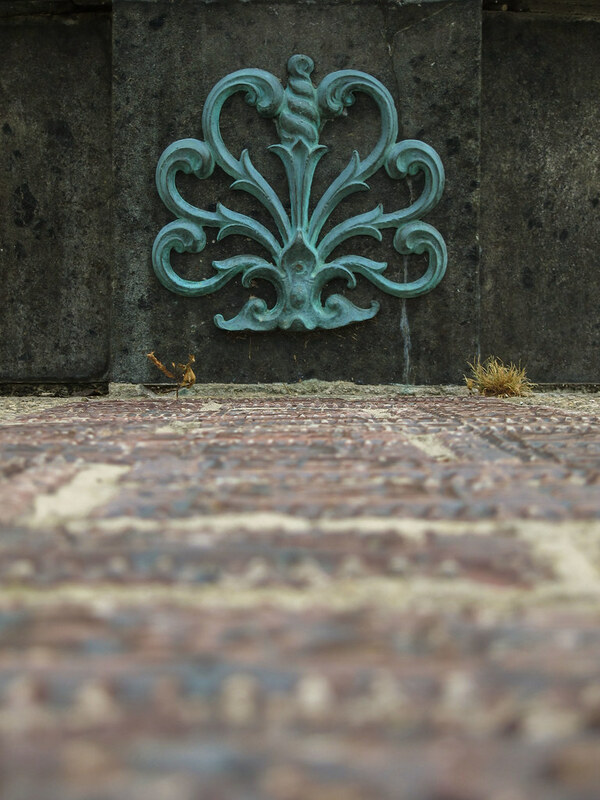 By the 1970s the fountain had again deteriorated. In 1976, Madison officials sought another restoration. This time, they went even farther: they had the entire fountain remade in bronze, a hardier metal than iron. It took several years for a sculptor to make molds of every part of the fountain and put the new pieces together on the site. 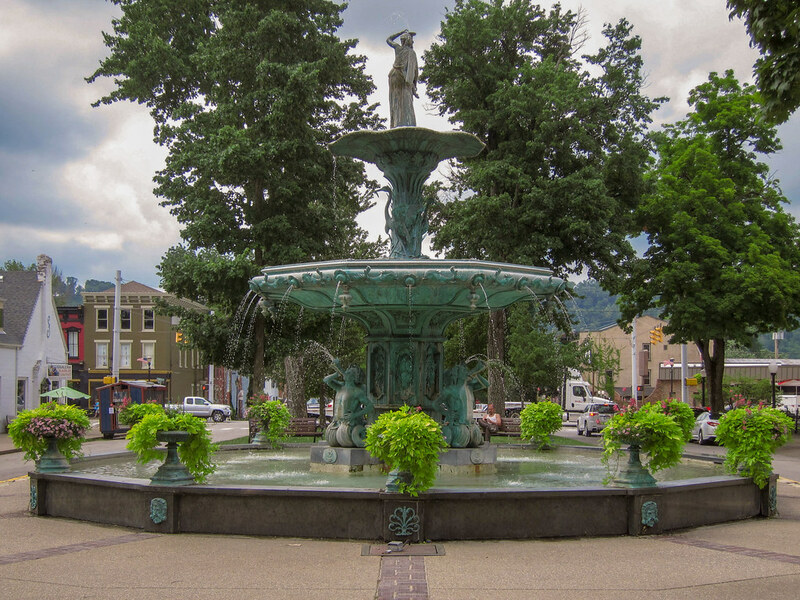 Broadway Fountain reopened in 1981. If I ever saw this I had paid it no attention. Thanks for telling its story. It’s a lovely fountain. It would be a great day trip in the Miata to visit Madison. There was a centennial explosion? Hopefully that only happens every hundred years. No, but there was an exposition, and I corrected the text to reflect that!